On May 21 of 2017, John Terry played his final match for Chelsea in a match that saw the team of Antonio Conte claiming a 5-1 triumph. It was a positive way for the English defender to end his spell with Chelsea which had extended for over 20 years. When his retirement was confirmed and announced to the public, the question that emerges was in relation to the future of the veteran defender. Clubs from all over the globe showed interest in signing the 36 year old defender. Teams hailing from the Chinese Super League, Major League Soccer and from the English League Championship wanted to secure the services of John Terry. Players who reach a certain point in their life usually decide to spend the final years of their career on a league where it´s not as competitive or that causes the players to have pressure. 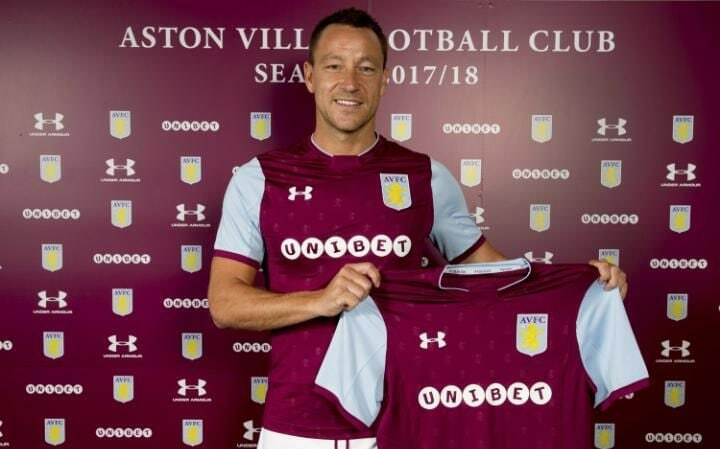 John Terry surprised a lot of people when the news claiming that he joined the English League Championship club Aston Villa was released. The iconic figure of Chelsea, recently revealed details as to what influenced him in joining Aston Villa instead of all the other offers that was launched at the experienced defender. According to the 2011-12 UEFA Champions League winner, it was Steve Bruce the main figure who pulled the strings and lured John Terry to Villa Park.